This year’s proud chief of travel Katja Grigorieva will take the lead in guiding a group of innocent psychology students to an unknown location. In finding the paradise location she is mainly supported by our adventurous Anouk Arends, responsible for all internal and external contacts. We hope that she can find her way in Europe better than in Groningen, as she has already managed to cycle to Helpman after a meeting instead of returning to the city centre (no drinks involved). For finding the golden treasures to fulfil our biggest travel dreams we have installed (international!) Melanie Künsemüller as head of Acquisition. Moreover, to get you all hyped up maximally we have our own promotion master Mareike Müller. To keep the organisation tight we have found the fabulous Fiona Fabry as the perfect secretary. And as the only man in the clique, Niklas Kranz has to keep an eye on the expenses so that not all money goes to clothing and decorations. 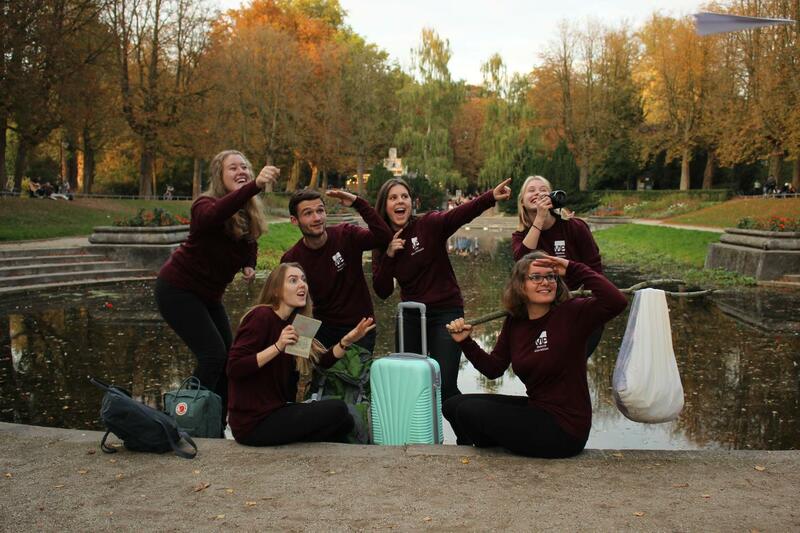 The student exchange committee organizes an exchange with students from another university in Europe every year. In past years, these exchanges have been organized with for example students from Salamanca and Budapest. The foreign students first come to Groningen for a week, and later in the year students from Groningen go to their city for a week as well. The committee is responsible for the program of this week. Examples of activities that have been organized are an afternoon of skating, a city tour through Groningen, a day in Amsterdam and sports in the Noorderplantsoen.